10 of our homes are located in Scotland, and 4 of our homes are based in England. Details and location of each home can be found on the 'Our Home's' section of the website. All prospective residents and their relatives will be able to view the home they are interested in, and will be given the opportunity to visit and have lunch with other residents. In some cases an overnight stay can be arranged, if a room is available. An assessment of the individual needs of prospective residents will be carried out by the Service Manager or a senior member of staff before admission. This is to ensure that the service can meet each resident’s needs and requirements. 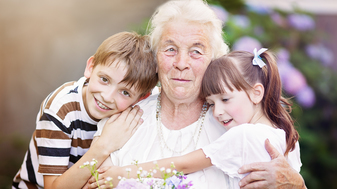 It is very important that residents and their family members have contacted Social Services. This will allow care needs and financial assessments to be carried out so that any funding or allowances which residents may be entitled to will be received. The Service Manager can advise you on this process and provide information on how to contact your local authority regarding assessments, and access to funding or allowances where applicable. The room will be ready and made up and any requests regarding changes in furniture lay-out, picture hanging etc. will be addressed. This will ensure that each resident is as comfortable as possible in a welcoming and personal space. Two files will be created; one will contain financial and contact information and the other will hold care related information (Care Plans). These files are safely stored within the home but will be available at any time should residents, relatives or representative wish to view them. The resident will be asked to sign the Residency Agreement which is the contract between the resident and the home. Alternatively, in the event that the resident does not have capacity to sign a contract, their Next of Kin or Legal Representative may sign on their behalf. The agreement should be reviewed carefully and signed within the first week of moving into the home. Should your financial position change we request that you or your representative discuss this with us as soon as possible, so that arrangements can be made to facilitate you or your loved ones continued residency. It is not our policy to terminate residency before we have exhausted all efforts to resolve financial matters that may impact staying with us. However we will be obliged to involve external agencies in matters that affect the security of residency; and will help find other ways to accommodate personal needs. Do the homes provide information on activities, or have an Activities Co-ordinator? Our dedicated Activities Co-ordinators organise and help support engaging and meaningful activities throughout the day, although all our care teams understand the importance of engagement in meaningful activities. If you have any requests for events or interests that you would like to see on the calendar, please speak to any member of staff within the home. We like to mark special diary occasions with stimulating activities. For example, our homes often hold afternoon teas with live music and entertainment and celebrate calendar events like Easter, May Day etc. We love to engage with our communities through local events, such as carnivals and fetes. 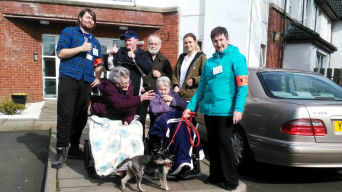 Local schools and organisations regularly visit our homes for different occasions and activity sessions. We are also very appreciative of the support we receive from local businesses. Visitors are welcome to visit throughout the day. If your visitor(s) arrive during meal times or when you are unavailable, they will of course be made welcome and asked to wait until you are ready to see them. There are a number of dining and lounge facilities within each of our homes where you can enjoy afternoon tea with loved ones. Some of our homes also benefit from courtyards and outdoor patio ares which are perfect for socialising in the summer months. You may also wish to visit family and friends and we will assist you with any arrangements for this. In the interests of health and safety, please inform a staff member beforehand if you plan to leave the care home for any reason. How do you ensure the safety of your residents? We actively promote our whistleblowing process in our homes and all levels of management, from Regional Manager to Managing Director, visit the homes and meet with staff, residents and relatives to ensure that any feedback is received and can be actioned. We are proud of our reviews, provided by our residents and our relatives on carehome.co.uk which are a testament to the quality of care we provide. Our weekly fees depend on individual needs of the prospective resident and are based on a comprehensive pre-admission assessment. We would encourage you to visit the home and discuss your needs with our Service Manager. Our weekly fee rate covers accommodation, full board, in-house laundering of personal items of clothing (except dry cleaning), daily activities within the home and the provision of 24 hour care and support agreed on admission to meet the prospective resident’s assessed needs. On admission the home will provide a Fee Information Form which will give a full breakdown of their current fees. Please note that all other services outside of this will be classed as additional services. Our catering team prepare home cooked meals, using fresh seasonal ingredients. We have dining facilities so that you can enjoy your meals whilst socialising with other residents. However, if there are times when you would prefer to have your meal in your own room, this can be arranged. 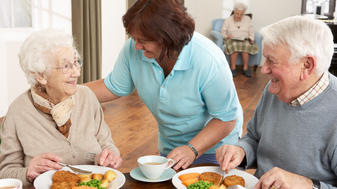 Each resident has an individual care plan, which includes food choices and dietary requirements; we work closely with the resident and their family and friends to find out their personal preferences. We also cater for specific dietary needs and individual requirements will be established on admission to the home and reviewed as necessary. The menu for the day will be displayed detailing food choices available. All dietary requirements can be catered for. Snacks and drinks are available for you to enjoy throughout the day and you are welcome to enjoy your favourite alcoholic drink in moderation, provided that your General Practitioner has no objection on medical grounds. The Care Quality Commission for England (CQC) and Care Inspectorate for Scotland are responsible for regulating care services in the UK. They will carry out an unannounced visit of the homes and rate the service they provide. All of our care homes display their current rating on their individual webpages to help you understand the care on offer. We also monitor our standards of care through our Senior Operations Team who regularly audit each service, as well as our Service Managers who complete various audits. We are also monitored by various stakeholders including; local authorities who we hold long term contracts with, Environmental Health and the Health and Safety Executive.